DISCLOSURE | This post is sponsored on behalf of Yankee Candle. All opinions and ideas are my own. 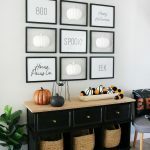 Usually, Fall decorating passes me by and I go right into Halloween decor but this year I thought I would do something different and decorate for Fall and enjoy the change in seasons. 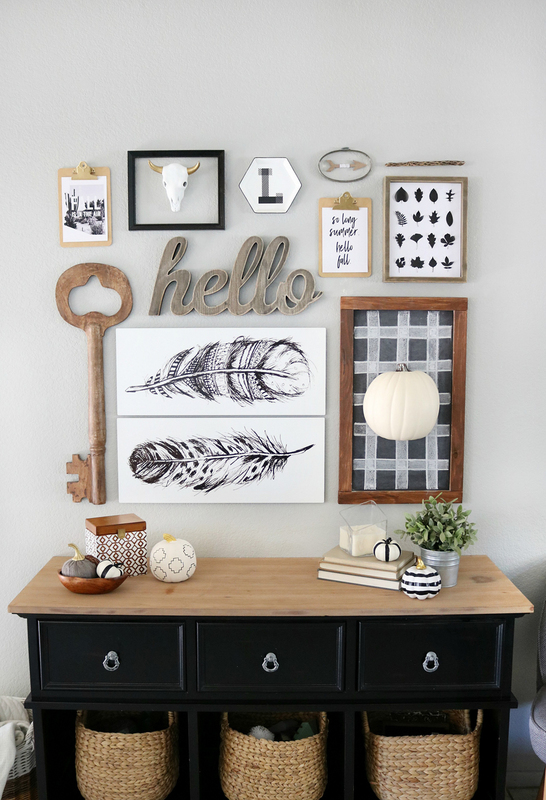 I wanted to just add touches of Fall to my existing decor, and my Black & White Gallery Wall is the perfect spot to switch things up a bit. 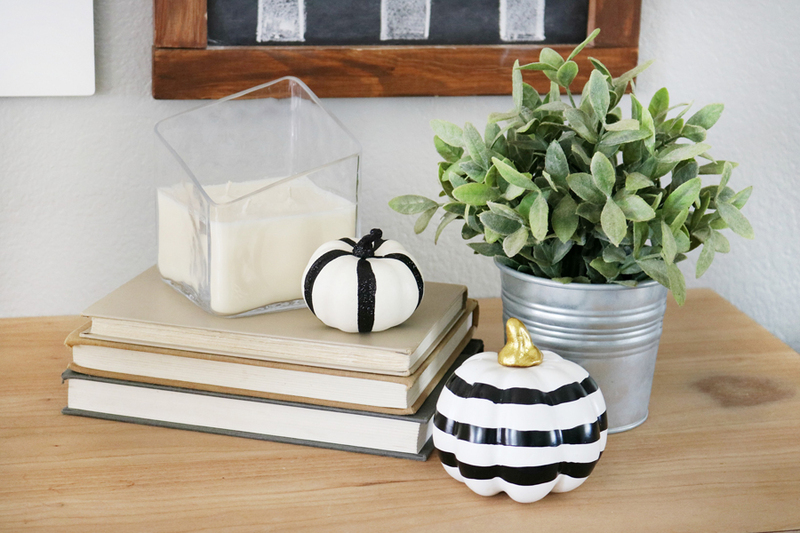 I love how this Black & White Easy Fall Decor came together. 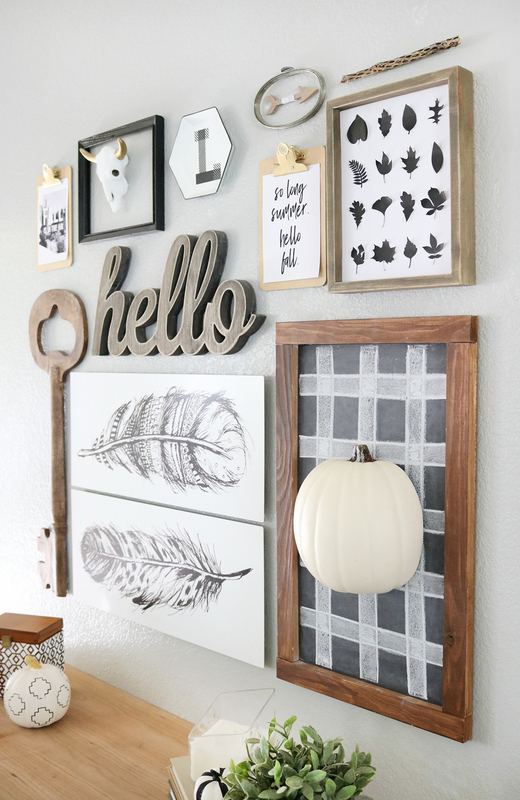 Changing out the previous printables that hung on my small clipboards was the first place I started. I created two new printables that will be available later this week for download. 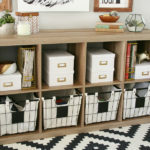 I wanted printables that fit with my decor and were a little different than what I had seen on Pinterest. 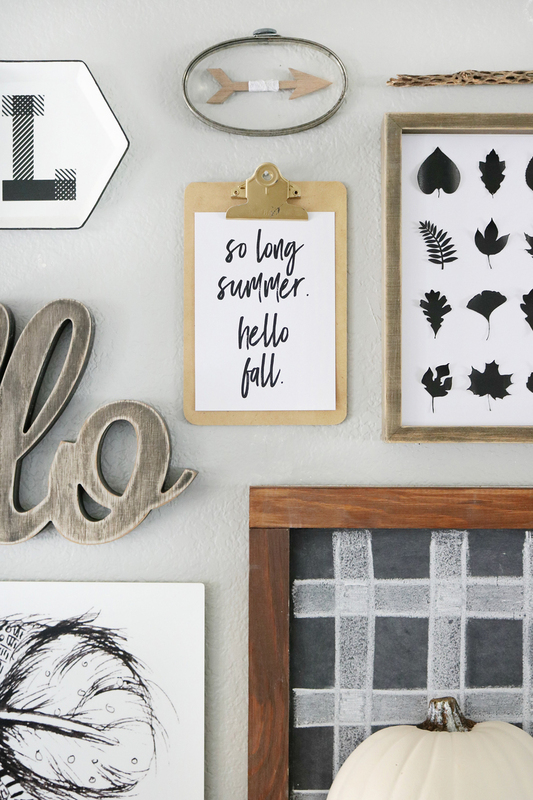 While most people think of Fall decor as orange, white, rusts, and browns as traditional Fall colors when they think of decorating. I think your decor should make you happy and should reflect your style, that’s why I stuck with my normal black and white color palette. 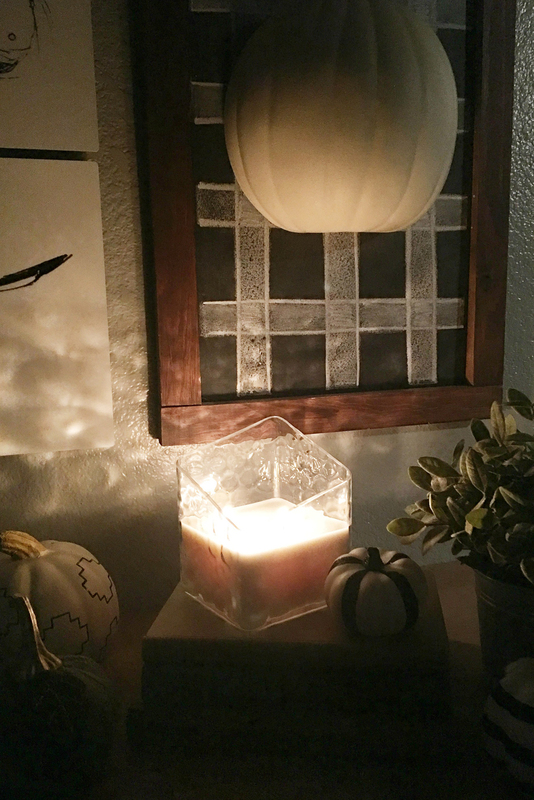 One of my favorite things to have in my entryway is a burning candle. 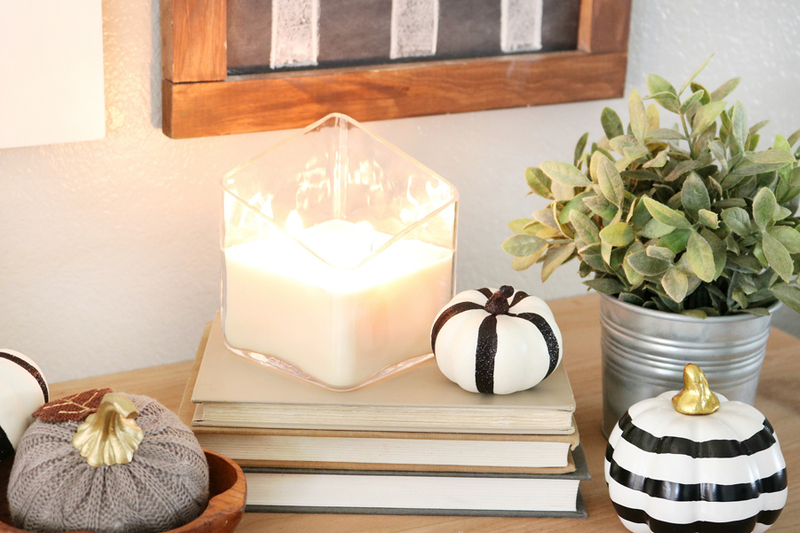 I want guests to be greeted by something that smells beautiful and delicious when they walk into our house. 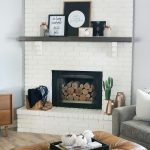 Since this entry decor is also part of my home office I get the added benefit of smelling the candle burning while I work. 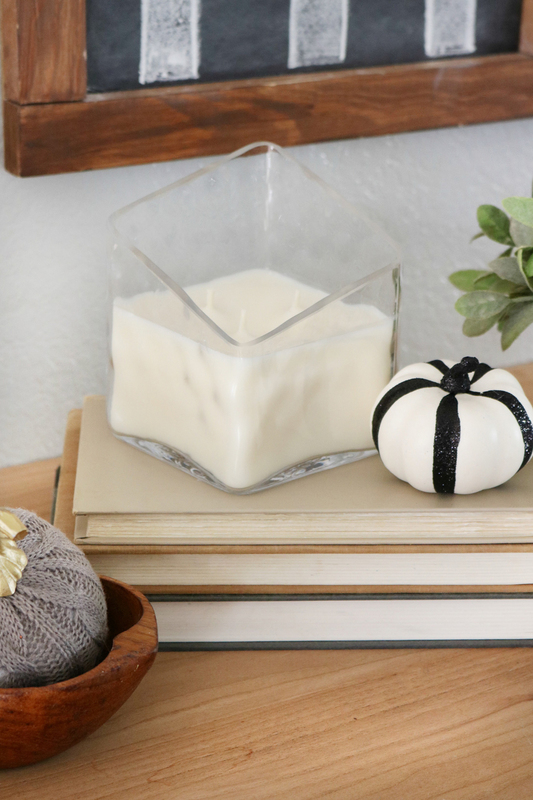 Fall scents are some of my favorite throughout the year, they make the whole house feel cozy. I love the new Luminous Collection from Yankee Candle not only do they come in some amazing new fragrances, they are gorgeous too. 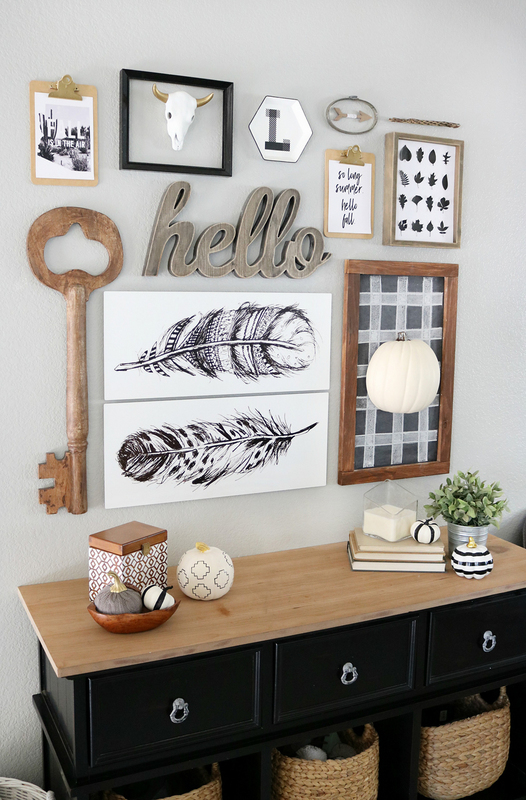 I also added some black and white Leaf Specimen Art to a piece of the gallery wall art. 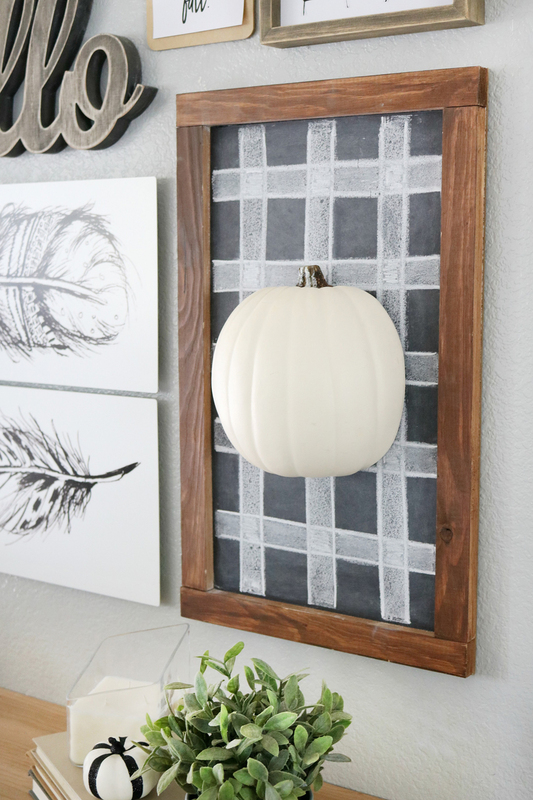 I also added some black foam core to an existing sign from my gallery wall and transformed it into a chalkboard for the time being, then added a large halved pumpkin I snagged at Michaels. 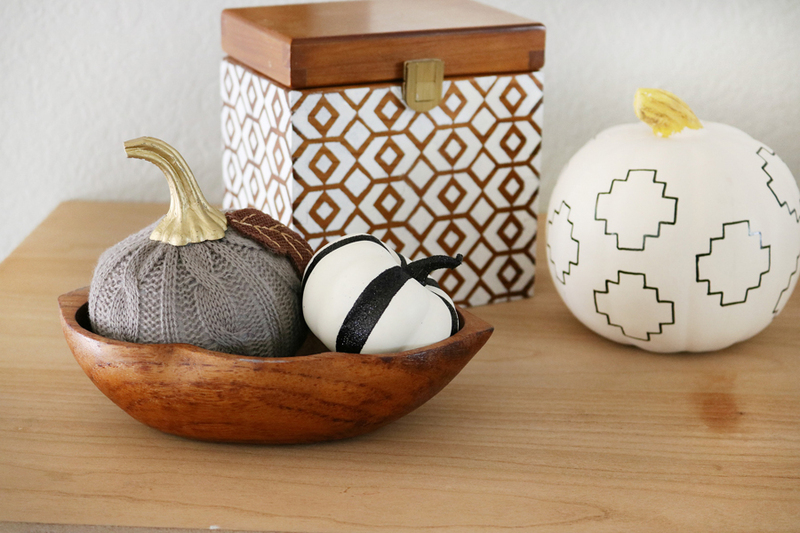 Small pumpkins with different patterns and textures helped to bring the table-top decor together. 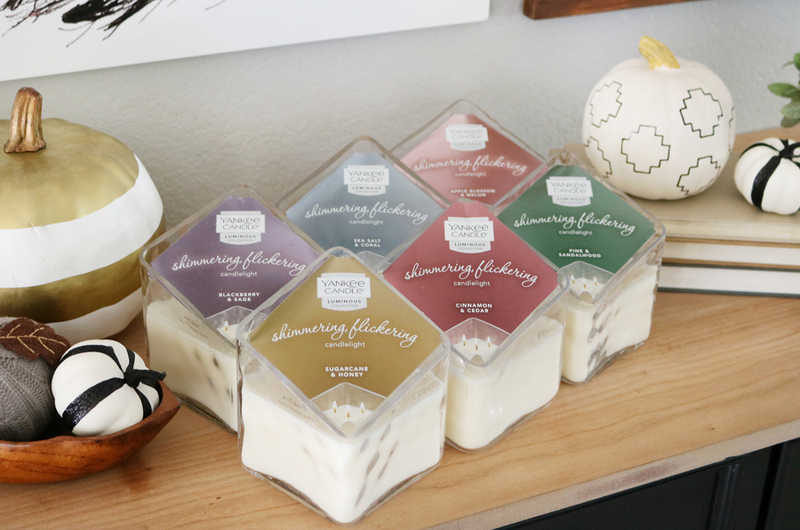 These candles really accent the mood with shimmering, flickering candlelight that sets the mood for either a relaxing moment at home or when you’re entertaining guests. 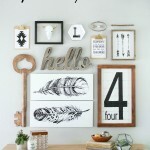 I’m thinking that these would be perfect down the center of a large holiday table mixed with holiday decor this year. I currently have the Cinnamon & Cedar candle burning and my whole house smells amazing! 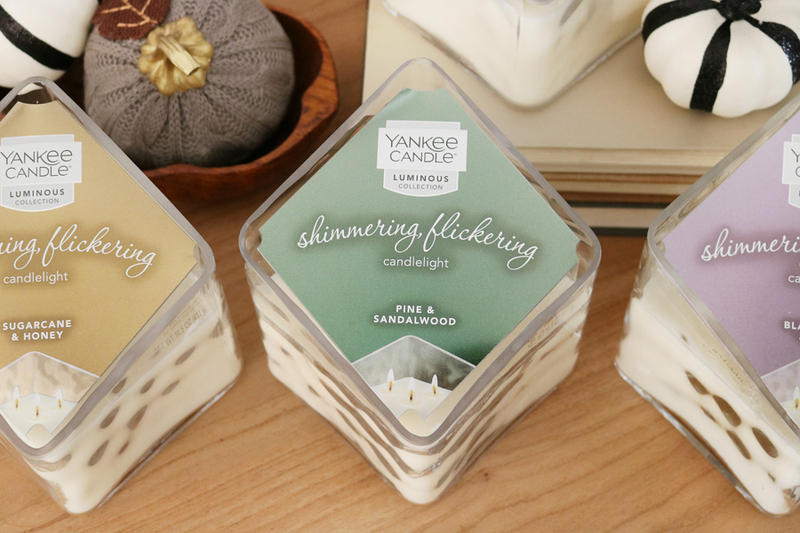 You can find Yankee Candle’s Luminous Collection in retail stores and select specialty retailers nationwide or online at YankeeCandle.com. 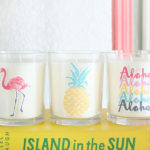 Here is a glimpse of how they flicker and glow at night. It really is so pretty with all the reflections it creates around the room. 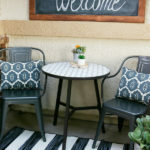 I’m seriously loving the change in weather and now that my decor is ready it is really starting to feel like Fall around here.